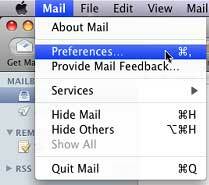 Applies to: Users wishing to configure Mac Mail to receive email from a TOAST.net Sub-Account. 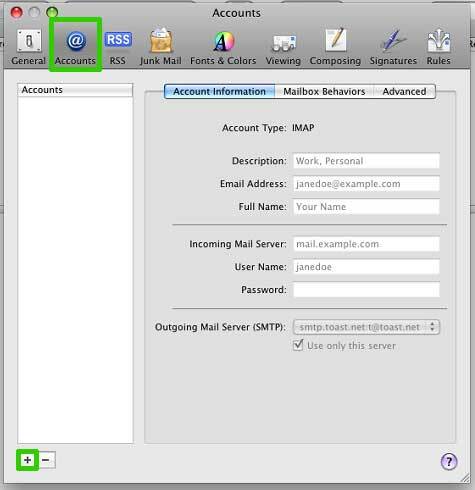 Select Add Other Mail Account... and click Continue. Enter your full name, email address and password. Then click Create. There will be a message that appears below the password, Account must be manually configured, click Next. Once you hit create you will be back on the Accounts screen. Click Advanced and ensure the port is set to 587 and Use SSL is checked, then click OK.